Even the filthy rich occasionally need a bit of extra space in back. Wagons are coming back in style. Some might argue they never left style, though anyone old enough to remember a 1980’s Ford Country Squire or a 1970s Chrysler Town & Country might beg to differ. These days, wagons have a bit more swagger – after all, even Porsche builds a properly awesome long roof now – so just imagine what you’d find with an estate version of the all-new Rolls Royce Phantom. Thanks to X-Tomi Design, you don’t have to imagine. Or at least, you don’t have to imagine the outside. 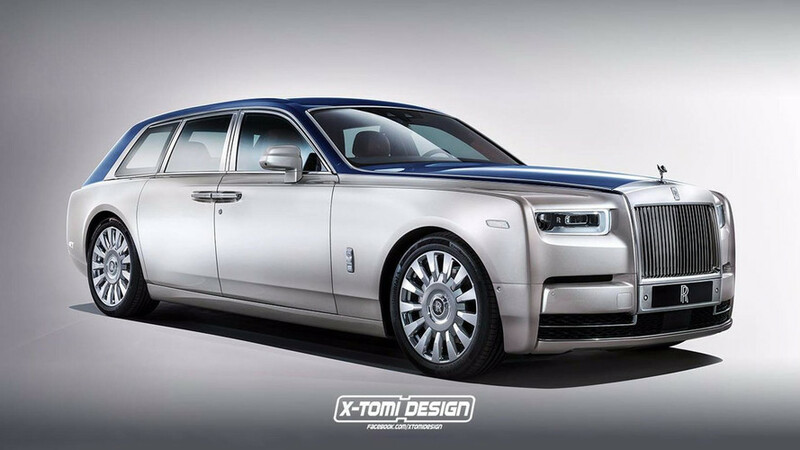 The render is appropriately called the Rolls-Royce Phantom Shooting Brake. Ordinarily the shooting brake moniker is reserved for two-door long roofs, but this car pays proper homage to the 1930 model with the same name and number of doors. Whereas that original version was decidedly chunky in the rear, the modern Phantom’s swept tail design actually lends itself quite well to present-day estate treatment. The roof has just a bit of arc to compliment the body's beltline, and while we suspect it wouldn’t add a significant amount of interior capacity, it certainly has an elegant, stately look about it. We have two very important questions that we’ll present to you, esteemed Motor1 reader. While we think this vision of a Phantom wagon looks fabulous, do you suppose there would be any Rolls-Royce customers interested in such a thing? Perhaps that question is better answered after some discussion on the second subject, which we’ll admit is going to require some creative thinking. Given the Phantom’s indulgence in luxurious features, artistic appointments and exotic materials, what kind of over-the-top addition could be offered on this Phantom Shooting Brake to make proper use of the extra space? Our headline teased a possible conversion to the ultimate in opulent final goodbyes as a Phantom hearse, but we sometimes have the tendency to be a bit morbid. Give us some of your ideas on how a long roof Rolls-Royce could be outfitted to stand apart from all other wannabe luxury brands.